England 6-303 (Joe Root 107, Jos Buttler 99, Moeen Ali 55, Dwayne Bravo 3-60) beat West Indies 278 (Denesh Ramdin 128, Dwayne Bravo 27, Tim Bresnan 3-45) by 25 runs. The visitors powered 303 runs for the loss of six wickets in 50 overs and the hosts were bowled out for 278 with 14 balls still available. Joe Root (England) was declared ‘Player of the match’ and ‘Player of the series’ for his graceful batting. The third and final One Day International was played on Wednesday, March 5, 2014, at Sir Vivian Richards Stadium, North Sound, Antigua. Earlier, Dwayne Bravo, the skipper of the Caribbeans, won the toss and opted to field. England lost two quick wickets at 37 when Joe Root associated with Moeen Ali and started the consolidation project. 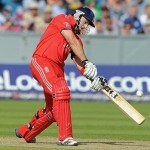 The first was dropped at 23 and his partner survived of stumping at 43 but registered his maiden ODI fifty with a six. Moeen Ali was gone at 115 for 55 and the next wicket fell one run later when Jos Buttler took guards in the middle. 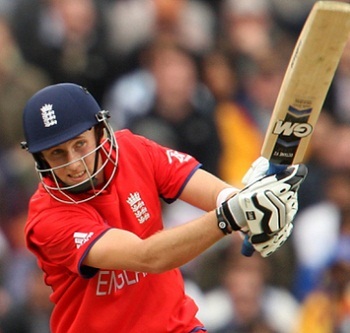 Joe Root went past his half century while Buttler kept on enhancing at his end and completed his fourth ODI fifty. The run rate was raised by the duo and Joe Root smashed his first ODI hundred in the 45th over. He was finally dismissed at 291 after scoring 107 and Jos Buttler was unluckily caught and bowled by Ravi Rampaul for 99. The tourists piled up 303 runs with four wickets remaining at the end of the scheduled 50th over. Dwayne Bravo was the most successful bowler with three wickets whereas Ravi Rampaul, Sunil Narine and Nikita Miller shared one wicket each. The Windies had an awkward beginning by losing their openers at 10 and their position was further deteriorated when they were reeling at 4-43. Denesh Ramdin along with Marlon Samuels tried to stabilise the innings but the latter surrendered his wicket at 80 for 23. The first took charge of the game with few reasonable partnerships at the other end and crossed the fifty runs mark in the 36th over. Ramdin was dropped at 83 by the England captain, Stuart Broad, and the batsman blasted his maiden ODI century with a big six. He fought hard but was the last batsman who went back to the pavilion for 128 off just 109 balls with 5 towering sixes and 12 fours. The innings of the entire West Indian side was folded back for 278 runs in 47.4 overs. 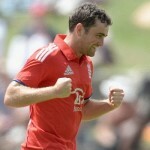 Tim Bresnan was the top wicket taker with three, Stuart Broad held two whereas Joe Root, Moeen Ali and Stephen Parry chipped in with one wicket each. England grabbed the encounter with a margin of 25 runs and lifted the series at 2-1.